This is definitely on my shopping list. Would make a great sidekick for the OT! Holy crap!!! The long awaited new MPD!!! Great sidekick for the AR too! Would make a great sidekick for the OT! Just what I was thinking! I’m really wondering if the 32 since it has a sequencer built-in and work stand alone without a computer. Would be such a killer set up. Too late: I’ve pulled the trigger on the BeatStep Pro. It’s just so packed with features it’s ridiculous!! For serious. And a good bit cheaper too. Let’s hope it holds up to some beatings. Spec wise, it’s just parameter locks short of being A4’s long lost external midi sequencer. I suppose those LED pads are the same as on the MPK225 keyboard, which are great! Far, far better than those stock pads on the MPD32, which you need to replace with MPCstuff.com pads if you’d like to have some nice, responsive pads. The MPK225-type pads need no replacement, though. Tough call. I think the BeatStep is the better sequencer (i.e. not ‘just’ a drum sequencer) and with the CV/gate outputs it definitely has more scope than the Akai. Though the Akai does have faders and more tracks. I see the BeatStep as a master clock/sync device with extra sequencing capabilities rather than a replacement for the OT’s internal sequencing. So the 232 being standalone is confirmed info? You can set all the controls to output to the MIDIout jacks. One thing that I think will be beneficial to AR users is that the MPD2 series has a ‘16 level’ button. this will set it up so now, each of the 16 pads will play the same note that was on Pad 1 (Or whatever pad you last pressed before pressing the 16 level button), but at different velocities. I think that only the 32 not the 24 is stand alone. Its says in the specs “works with virtually any midi software or midi hardware”. The 24 does not say this. also only the 32 has the built in sequencer. A built in sequencer isn’t of much use if you can only use it with software! This leads me to strongly believe it is stand alone. Please someone feel free to play devils advocate and tell me I’m wrong! [quote=“michalronin”]So the 232 being standalone is confirmed info? 226 will also work standalone. but the 218 will not. You can use the 232 sequencer with the midi out’s , but honestly, the electron sequencer is much more powerful. [quote=“virtual_flannel”][quote=“michalronin”]So the 232 being standalone is confirmed info? Hmmmmmm, 24 might be more up my alley than as I don’t need the sequencer, but 8 knobs and 8 faders is pretty sweet. [quote=“notechnotech”][quote=“virtual_flannel”][quote=“michalronin”]So the 232 being standalone is confirmed info? 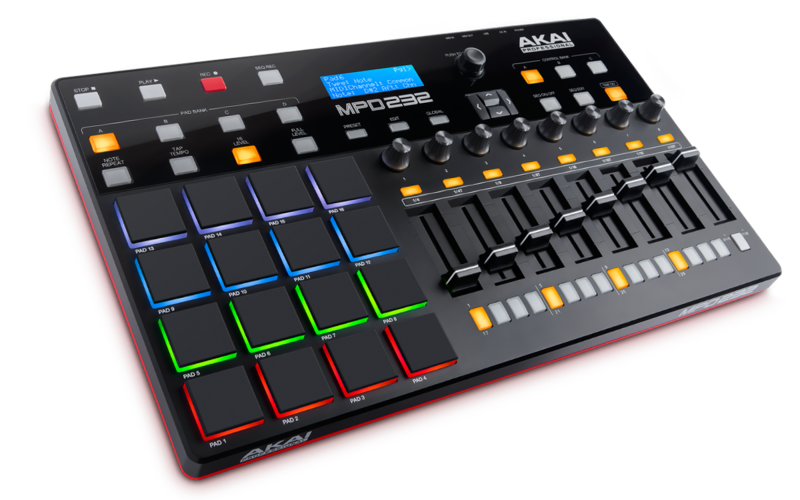 My main concern is that in the requirements tab on the Akai website, they specify computers. Because if this thing could run standalone with an Octatrack, oh dear.